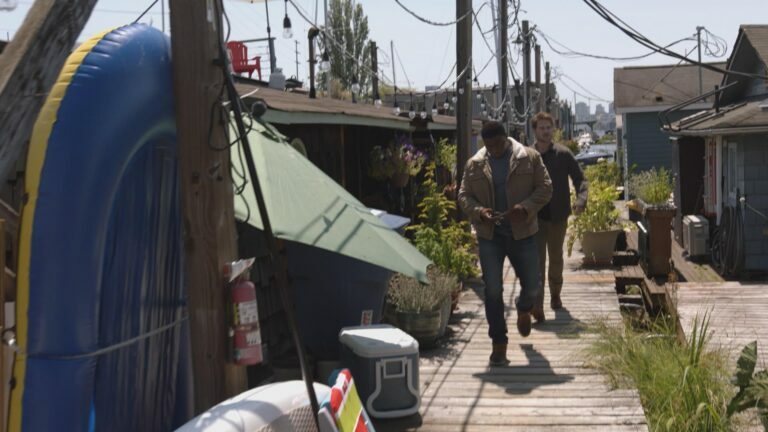 Go beyond Seattle’s explosive food scene, pervasive music culture and deafening sports fandom to discover the next thing to make Seattle one of the hottest cities in the country: ABC’s new drama, Station 19. 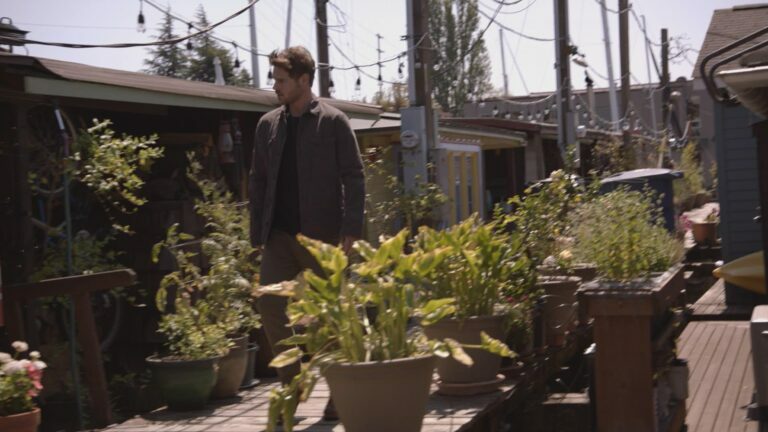 Dig into the local spots that fuel this hit drama every Thursday night on ABC. 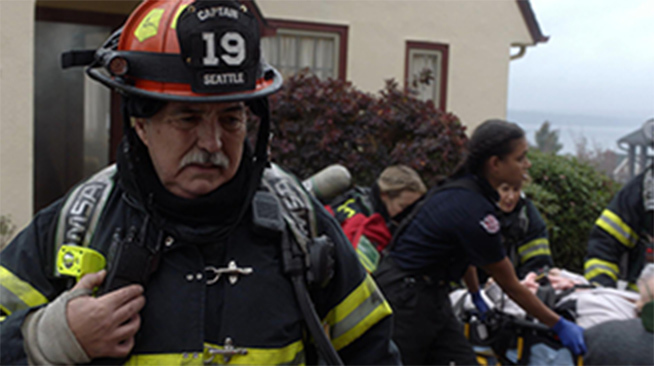 Hear directly from the cast how Seattle plays a starring role in ABC's drama, Station 19. 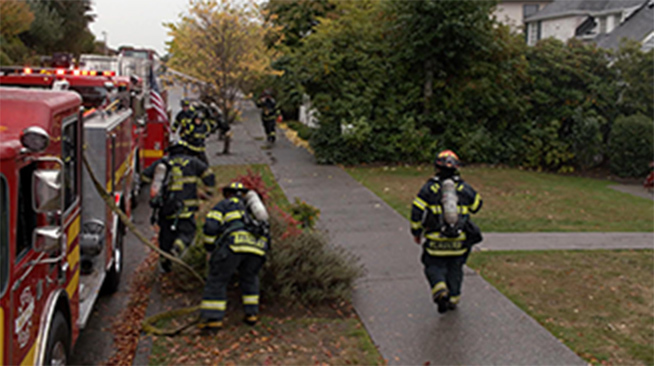 Home to ABC’s newest crew of Seattle-based firefighters. 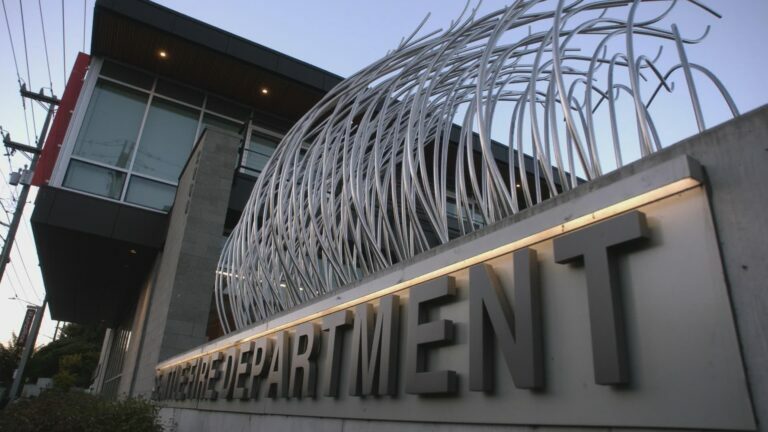 In reality, the building is Seattle's Fire Station 20. 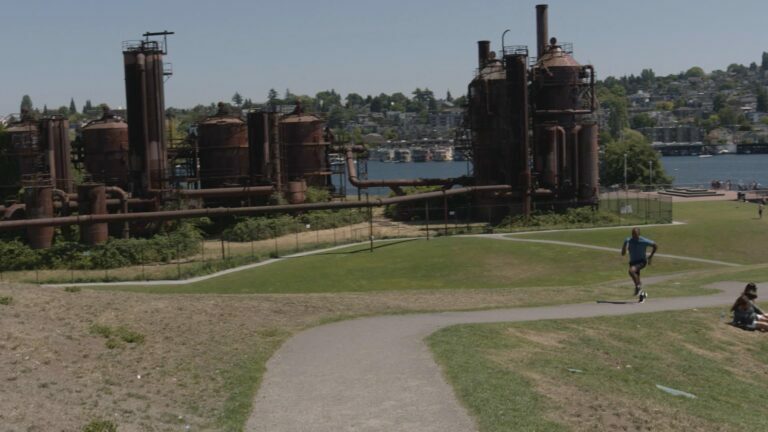 It is located in the Interbay neighborhood, along the west side of Queen Anne. 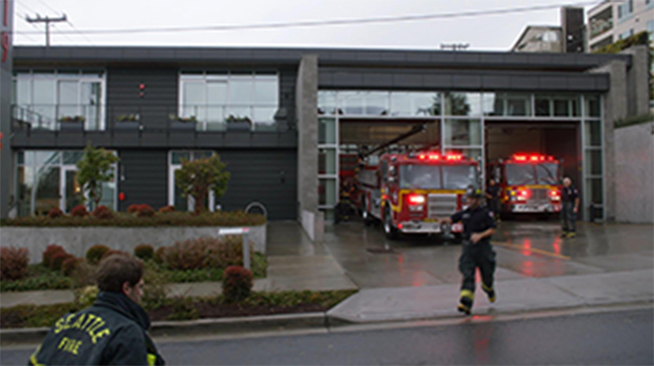 The home-base of Grey’s Anatomy and former workplace of Ben Warren, the former anesthesiologist-turned-rookie firefighter at Station 19. 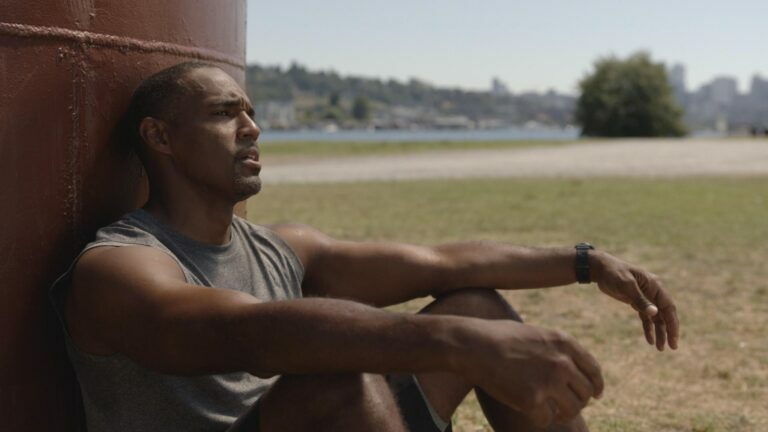 Featured in multiple episodes of Station 19, including the initial crossover TV event. 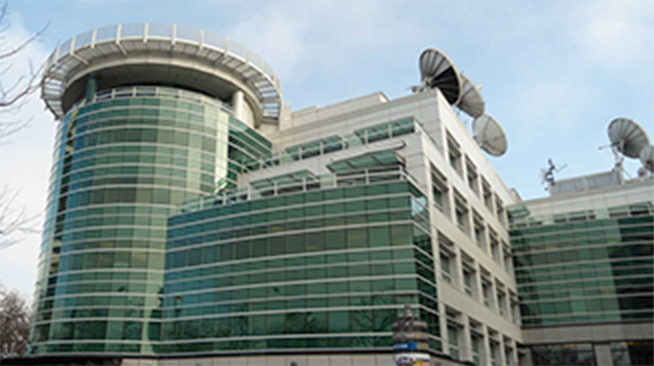 The "hospital" is actually KOMO Plaza, which sits in the shadow of the Space Needle, across from Seattle Center. 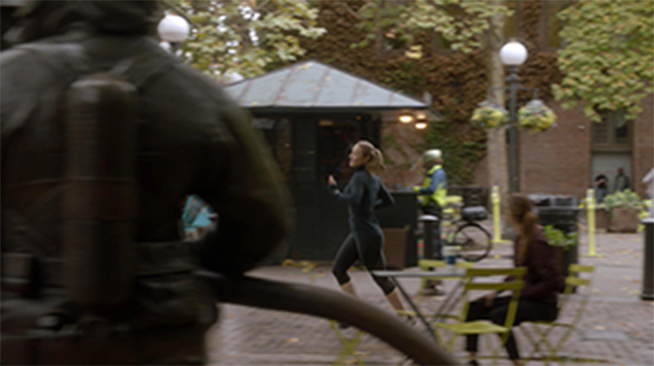 An icon centered in Seattle’s Occidental Square, Maya runs around this memorial while Andy is trying to talk to her in the initial episode of Station 19. The park and memorial statue can be found in Seattle's historic Pioneer Square neighborhood. 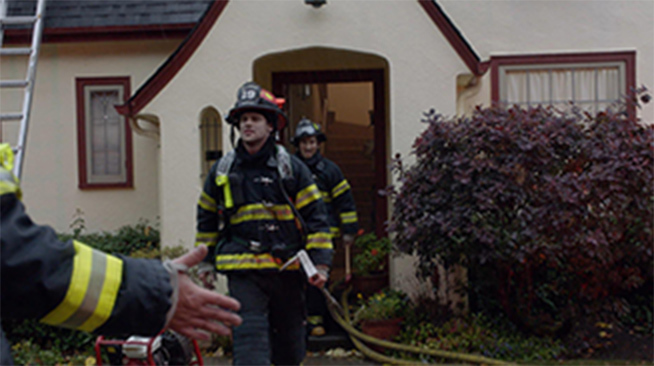 Tiffany, the homeowner in the Station 19 pilot episode, resides in this charming Seattle neighborhood. 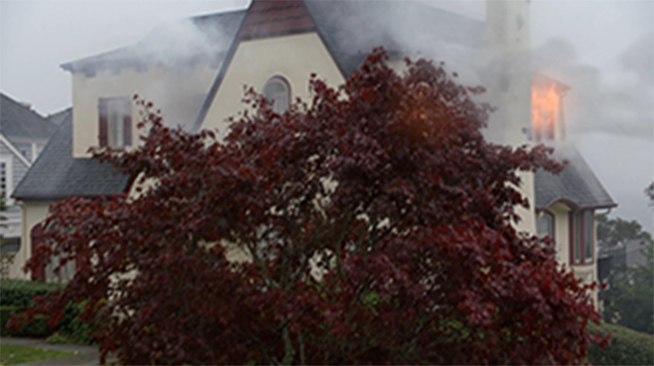 You can find the house (unharmed by fire) in Seattle's Magnolia neighborhood, just south of Discovery Park. 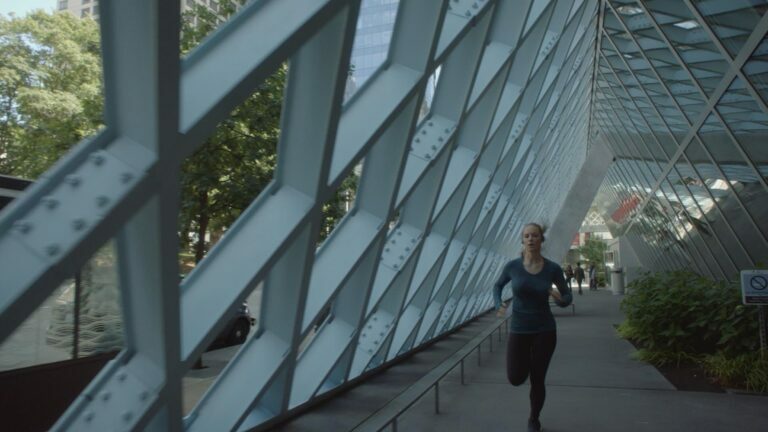 Ben is seen running in this unique Seattle destination a few times in the series. 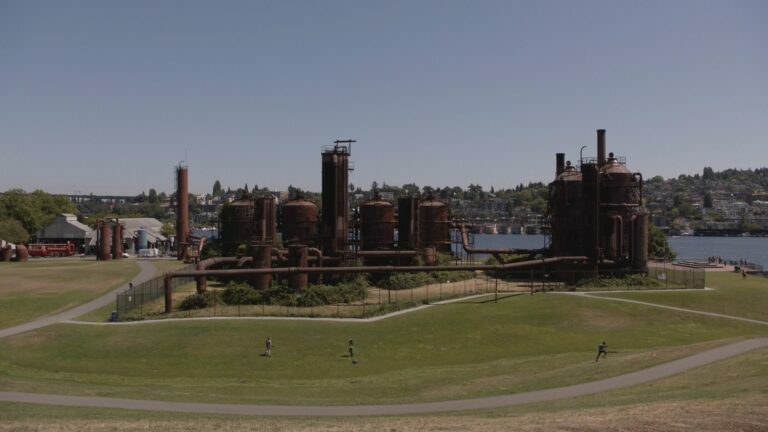 GasWorks Park, located on the north shore of Lake Union, was built on the location of a former coal gasification plant. It’s a favorite location for picnics, kite flying and soaking in fireworks on the 4th of July. 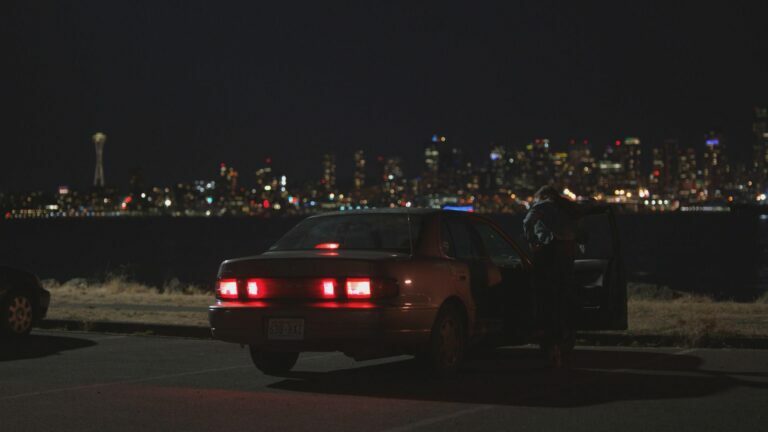 The boat launch at Alki Beach was the backdrop for a conversation between Ryan and Andy when they're talking on top of his car. Alki Beach is a 2.5 mile beach located in West Seattle. From here you can enjoy epic views of the Olympic Mountains as well as downtown Seattle. 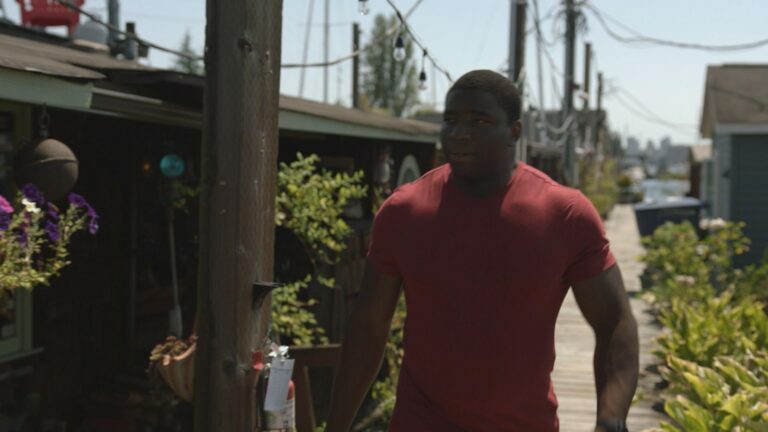 Travis & Maya frequently enjoy nights out in this LGBTQ hub of Seattle. 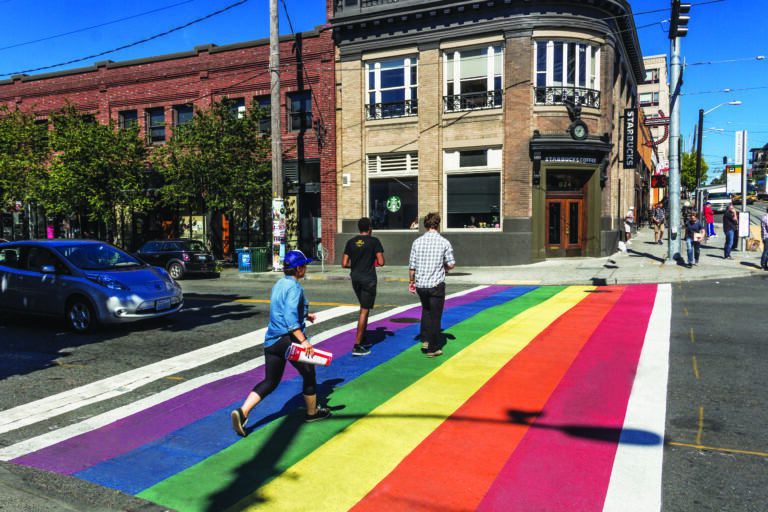 Just east of downtown, Capitol Hill is home to both a colorful, buzzing urban scene as well as a tree-lined, residential calm. 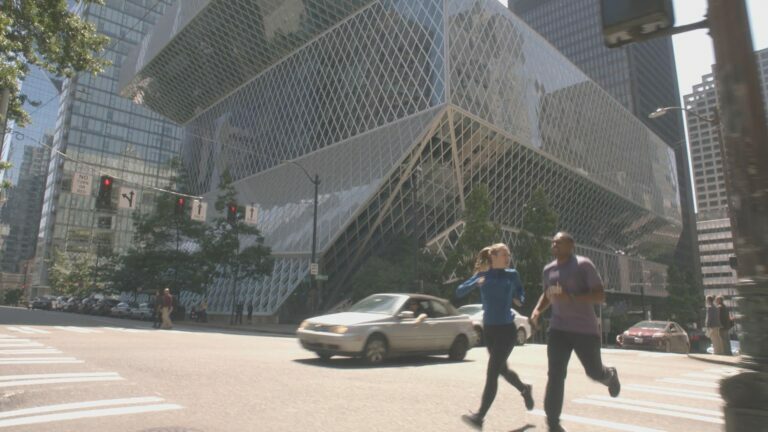 This iconic downtown structure stands out as Ben and Maya frequently run past it in downtown Seattle. 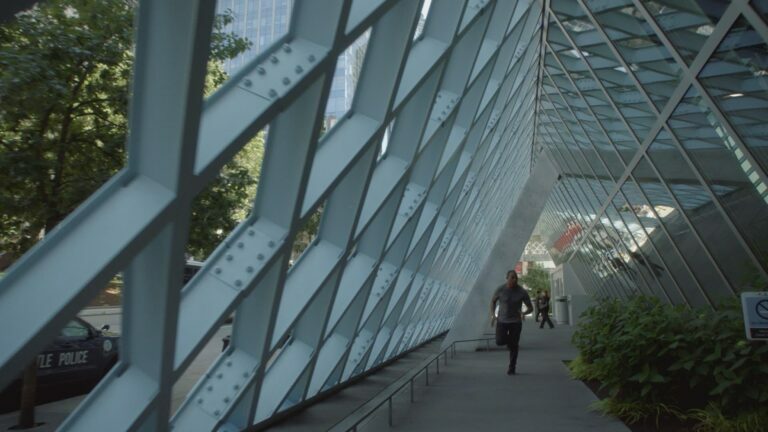 This architectural delight was designed by the famed Rem Koolhaas and has been named to the American Institute of Architects' list of Americans' 150 favorite structures in the US. 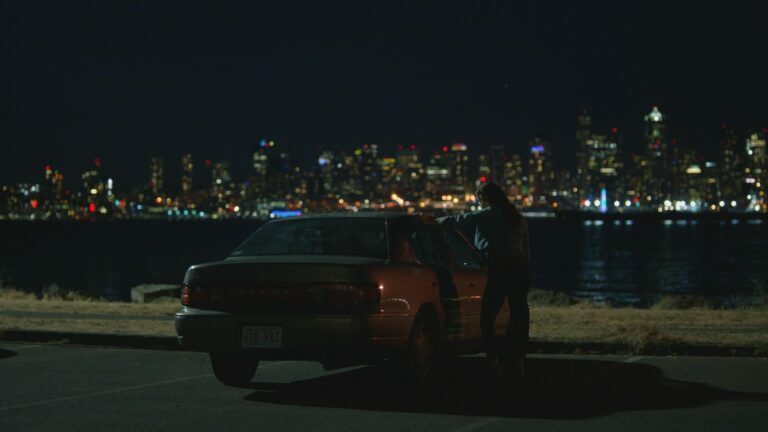 Dean and Jack live in one of these unique communities that helped put Seattle on the map. The neighborhood of Eastlake is home to Seattle's highest concentration of houseboats. Their architectural styles range from the bohemian-eclectic to exuberant stucco-modern and can be seen up close on tours with Ride the Ducks of Seattle. This is Ripley, the Fire Chief's main place of work. 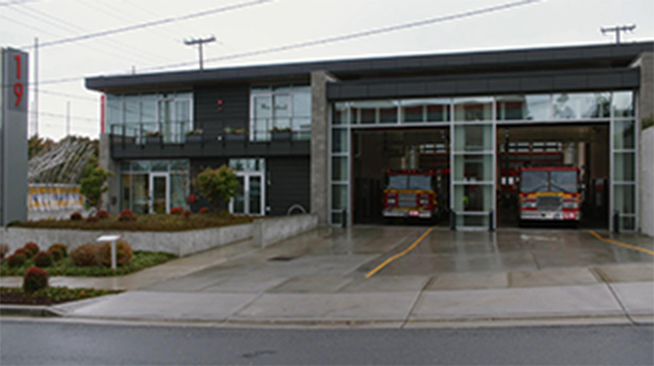 In reality, the building is Seattle's Fire Station 10. 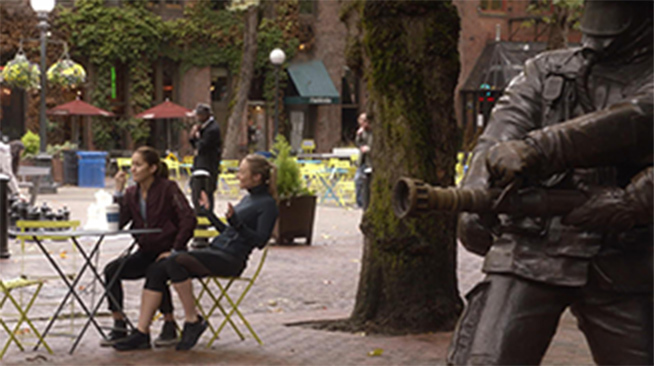 It is located in Pioneer Square, just down the street from the Memorial to Fallen Firefighters in Occidental Park.